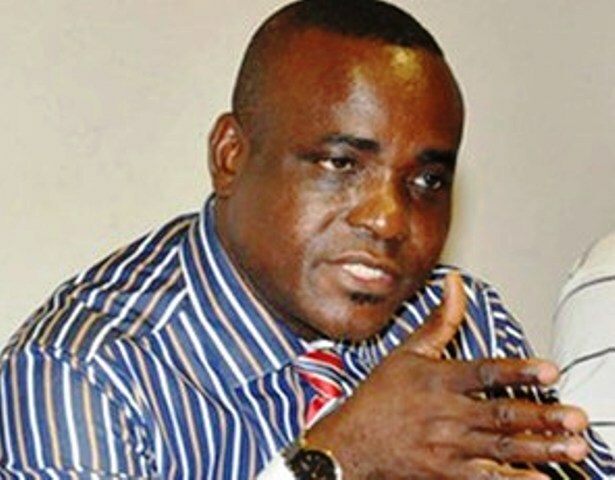 Senior Special Assistant to the President on National Assembly Matters, Senator Ita Enang, has expressed confidence that President Muhammadu Buhari will win Saturday’s presidential election with about 80% of the votes. Enang, who spoke with State House correspondents on Wednesday, hinged his confidence on the achievements of President Buhari’s administration; the vigorous campaigns of his party, the All Progressives Congress (APC); and the president’s fair treatment of all parts of the country. According to him: “From the campaigns on the field, all the fillers we had, the support we had from the East, the West, the South, the North and all parts of Nigeria and the words of the president, the capacity of the campaign team and campaign machinery, the intellectual and intelligent words, words that hold and convince Nigerians that President Buhari is the best person to go for a second term as president. “This makes us confident and I am sure that in every state of the federation, President Buhari was able to show what he has done for that state. The presidential aide said that President Buhari has identified with all Nigerians, including the poor, the rich, the disabled and even those who could be called the low of the society. Enang added that Buhari had exhibited the character of a true democrat by not interfering in the work of the Independent National Electoral Commission (INEC). Speaking on criticisms that have trailed the likelihood of the international community, Enang said that all international protocols concerning diplomatic relations must be respected by all. “There is what we call diplomatic protocol and when you are in a country, you are subject to the laws of that country. “There are limitations and red lines, which you must not cross. When you cross the red lines in diplomacy, you are capable of being declared persona non grata. Dismissing allegations that the Resident Electoral Commission (REC) in Akwa Ibom State could be working in the interest of the government of the state, Enang said it did not matter and would not affect the outcome of the election. “Knowing that we will the election, I had occasion to say that even if it were Secondus, chairman of Peoples Democratic Party, PDP, that conducts election in Akwa Ibom State as REC, APC will win the election”, Enang said.